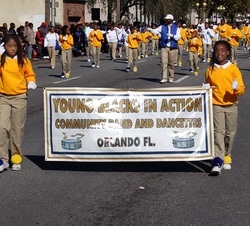 Young Blacks in Action Incorporated, (YBA) Community Band and Dancettes is a community based group established in 1979. 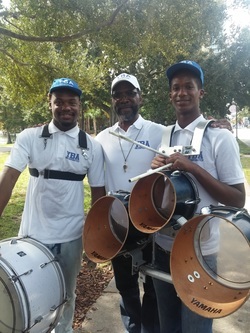 YBA’s objective is to develop ages 4-21 youth’s, artistic talents and capacities, to promote self-actualization and to elevate Orlando Area Youth through the participation in Cultural Arts Programming. YBA is now in partnership with Paramore Kids Zone (PKZ). 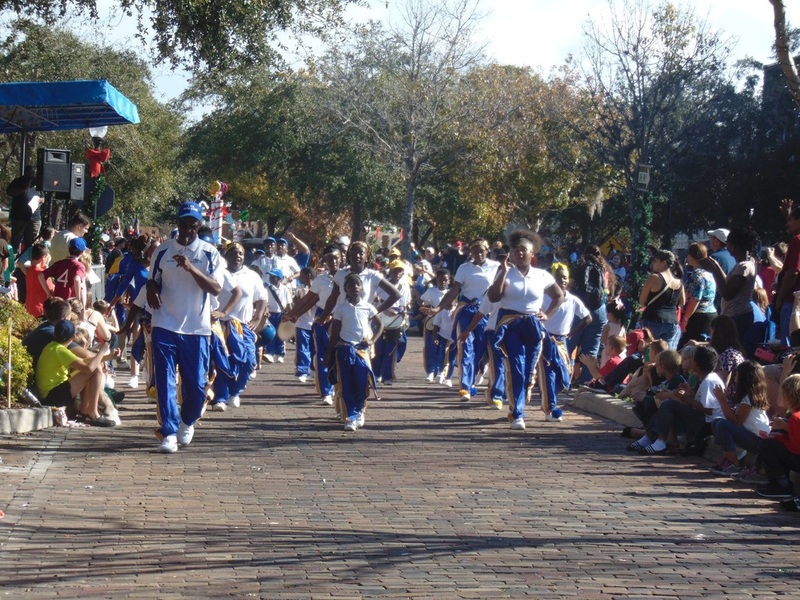 YBA is a Central Florida tradition that is formerly organized as a Florida Non-Profit Organization and a 501(c)3. 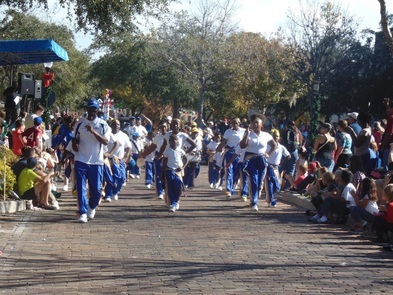 Originally established by Director and Founder Howard Tate “Flute” Gentry, more than 6,500 Central Florida youth have participated as proud members of YBA The members are co-ed and in the past there has been more than 150 participants in the group during the performance season. Currently, there are more than 50 active participants. Members learn syncopated dance steps and percussion skills through practice, practice, practice!!! Practices are held Tuesday, Thursday, and Friday from 5:30 to 7:00 pm at the Dr. James R. Smith Center. The Smith Center is located at 1723 Bruton Blvd, Orlando, FL 32805. Howard Tate Gentry is the Founder and Director whose roots run deep in Orlando and Central Florida. YBA is a 501c3 nonprofit Community Youth Organization. YBA is hosting an upcoming conference "Unleashing the Greatness in Our Youth" scheduled Saturday, January 28, 2017 at the Dr. James R. Smith Center. The Smith Center is located at 1723 Bruton Blvd, Orlando, FL 32805​. The conference is scheduled from 2 to 5 pm. Contact (407) 739-3388 to Register.